This is how the game went. 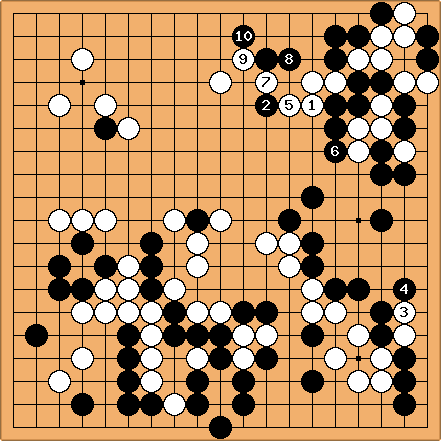 Although and is a tesuji that allowed White to secure the upper side, it is still not enough to win the game. 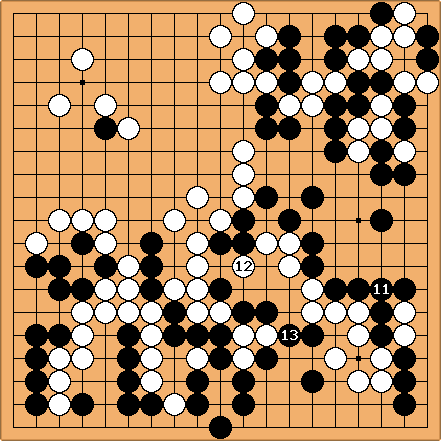 During the game review, Peng Quan suggested playing the light move of instead. While and look ordinary, the effect is better than the game sequence. 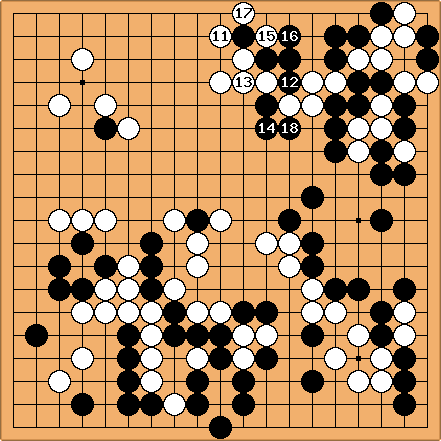 This way, the game is close. The commentary says that is a mistake that allowed the White dragon to be captured. 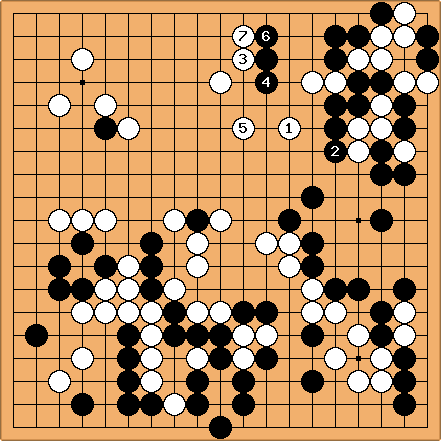 However, even if is played correctly at a, Black will still win by a small margin.